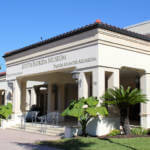 Naples Soap Company has been offering high-quality skincare products from all-natural products since it opened in 2009. 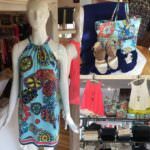 The brand now has a loyal following of clients who appreciate their carefully formulated bath, body, and skincare products. 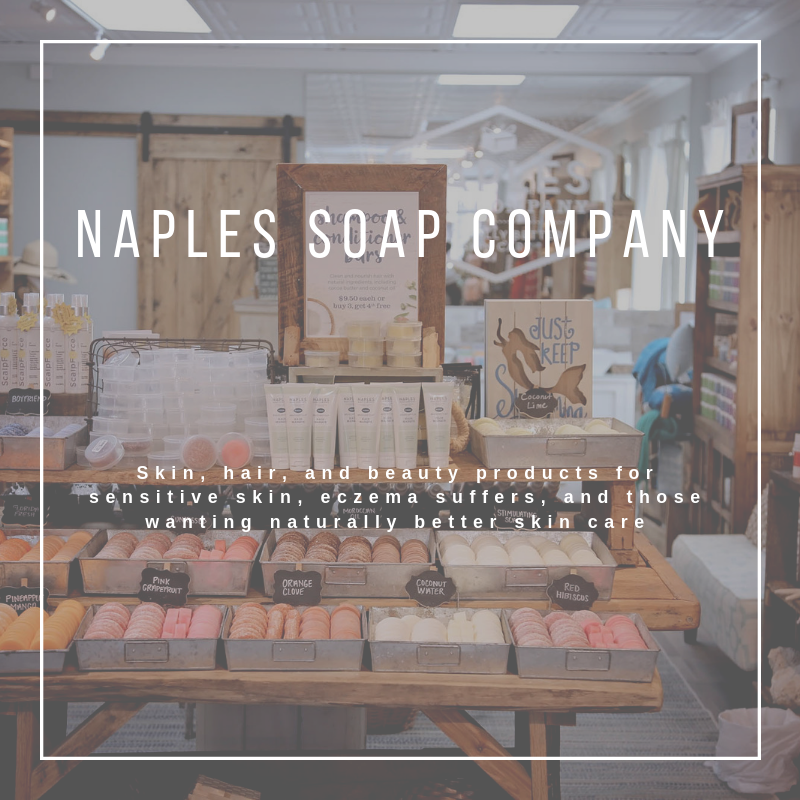 Naples Soap Company products are particularly beneficial for those who have sensitive skin, eczema, or chronic skin conditions. 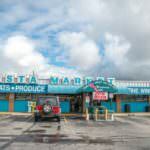 Naples Soap Company prides itself on its natural skin care products that come in both scented and unscented options. 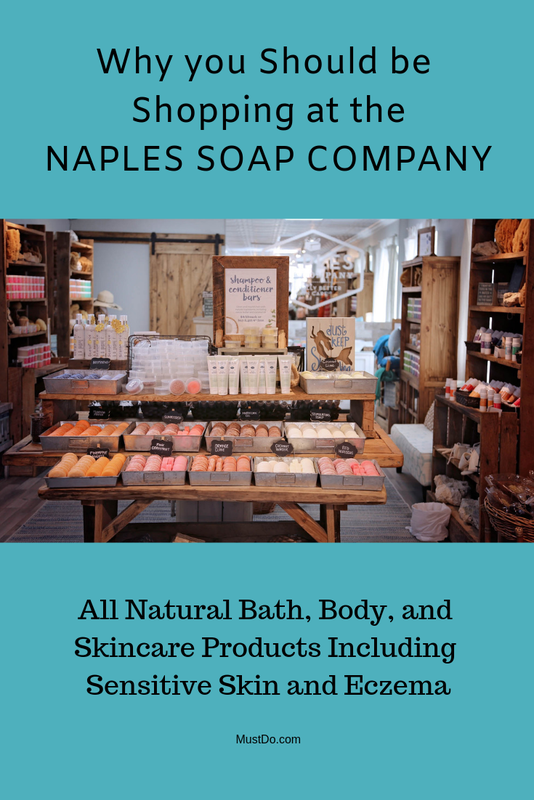 From eye serums, lip balms and body oil sprays, to unscented products for those with sensitive skin or eczema, the Naples Skin Company has you covered from head to toe with “naturally better” skin and hair treatments. Men are not forgotten as the company sells Florida Fresh Shave Cream that hydrates rather than drying. The rich shea and cocoa butters soften the hair follicles and reduce friction for smoother, moisturized skin and a close shave. 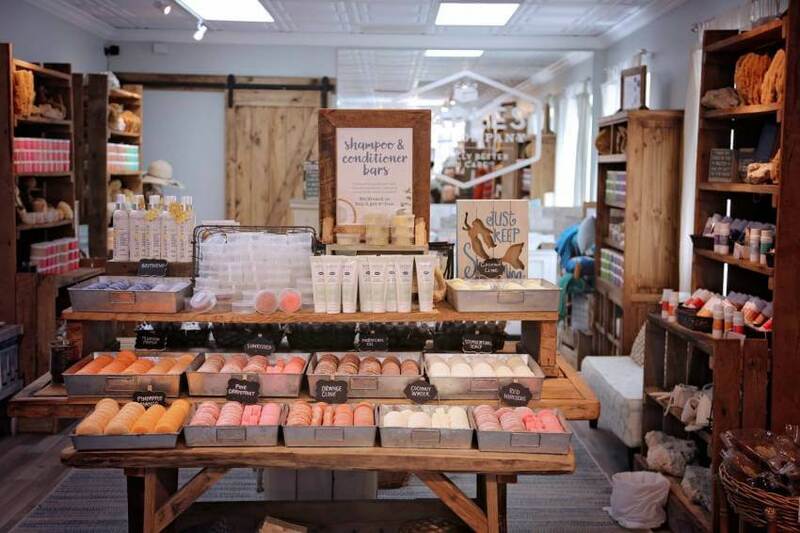 Deanna Wallin, Naples Soap Company founder and CEO, knows for herself how troubling eczema can be as she suffers from it herself. As a nurse and licensed aesthetician she developed a range of products to help those with eczema and other skin problems. Eczema is a non-transmittable skin condition that can be distressing for the sufferer. It is not known what causes eczema, but stress, chemicals, humidity, and temperature changes can all trigger a skin reaction. 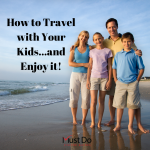 One of the best ways to reduce the itching and inflammation is to use mild, non-irritating soap that is perfume-free. Most soaps are harsh and contain chemicals that have a drying effect on the skin, so eczema sufferers should avoid them. Naples Soap Company has a special Eczema Soap that is made from natural products with homeopathic properties. Clinically tested, their Eczema Soap contains soothing ingredients including aloe, yogurt extract, coconut oil, and glycerine. As well as cleansing the skin they add back moisture and healing to prevent eczema flare-ups. Keeping the skin hydrated, moisturized, and lubricated can also help other problems developing, such as eczema herpeticum or chronic dry skin. 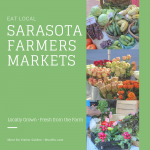 Other Naples Soap Company products for those with skin issues (and those who just want to use natural products on their skin) include Sea Salt Soaps to detoxify and deep-cleanse the pores. They are ideal for those with acne. The Sea Salt Scrub gives the whole body an invigorating exfoliation to improve blood flow and remove dead cells. After that, lock in moisture with rich unscented Body Butter, made from cocoa butter, coconut oil, flax seed oil, shea butter, mango fruit extract, emulsifiers, and a host of other ingredients high in antioxidants. The Eczema Kit range also has a daily Face Cream and a Moisturizer Stick for an intense moisturizing boost at any time – and it goes beyond the skin. The unscented Shampoo and Conditioner Bars are ideal for those with a sensitive scalp, leaving hair clean, silky, and conditioned without any lingering chemicals to irritate. 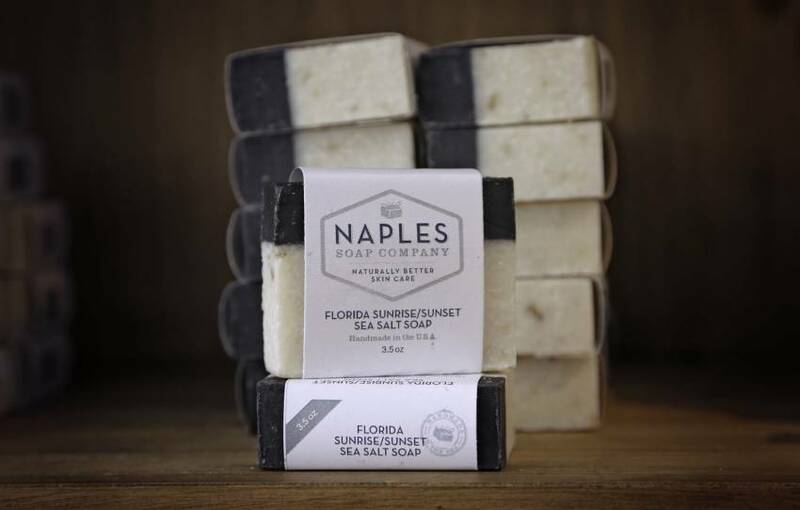 Many of the Naples Soap Company products are sold as bundles for added value. 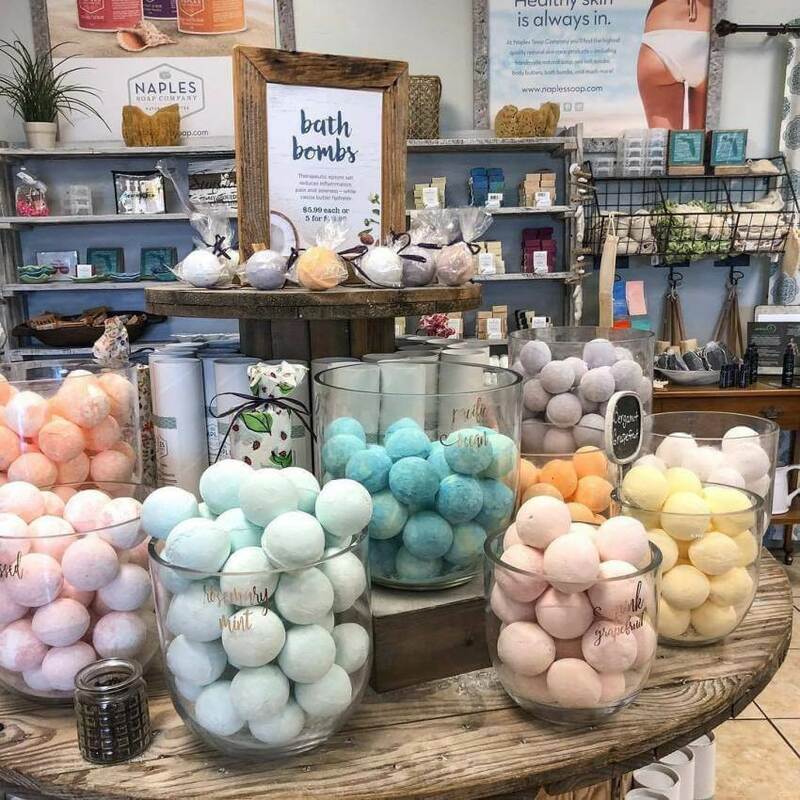 If you’re looking for a gift, who wouldn’t appreciate a gift bag filled with moisturizers, sea salt soap, and bath bombs containing essential oils for the ultimate pampering! 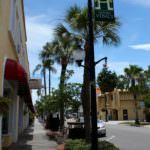 Visit one of Naples Soap Company’s Florida locations or shop online.